Its been a busy week of fishing for me .Ive been on the water 6 out of the last 9 days and the fish have been biting. 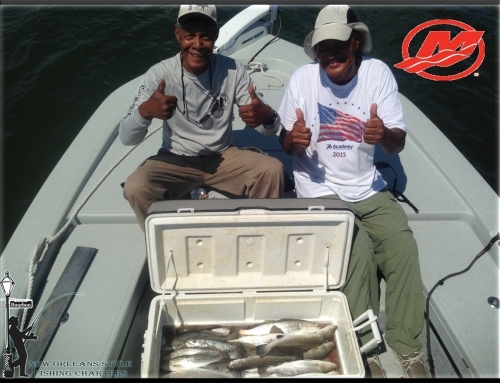 Catching good number of reds and specks . The reds have been in the average of 16-22 ” with some coming in over 25″ . The specks have been 12-18 ” fish and have been catching 50 -100 in a lil while . I have a couple days off as of right now but all that can change with a phone call or 2. 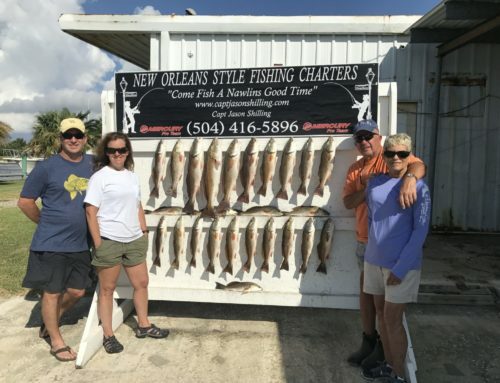 If you would like to get in on some of this fishing action down in Lafitte Louisiana give me a call or email and COME FISH A NAWLINS GOOD TIME .